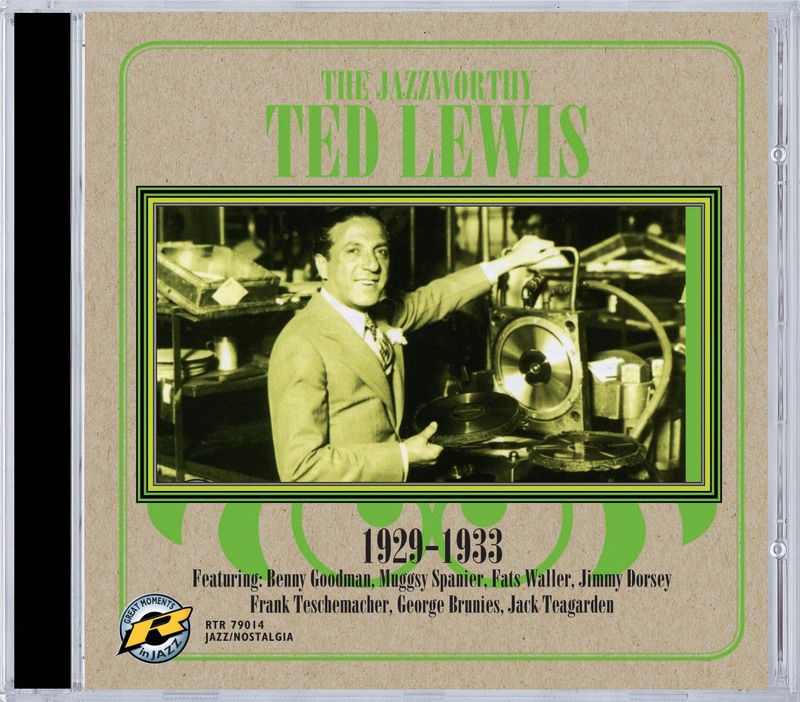 Known as "The High Hat Tragedian of Jazz", Ted Lewis was a major bandleader in America from 1920 into the '50s. His own eccentric vocals and "gaspipe" styled clarinet and alto sax playing were largely the antithesis of jazz and yet, pardoxically, he loved the music and always led bands stuffed with top line jazzmen to whom he gave a surprising degree of freedom to show off their skills. In this collection will be found sterling work by the likes of Muggsy Spanier, George Brunies, Benny Goodman, Jimmy Dorsey, Frank Teschmacher and even Fats Waller. Such titles as "Royal Garden Blues" and "Dip your brush in the sunshine" are worthy of a place on any jazz collector's shelf. Transfers are by John R.T. Davies and notes by Lewis specidist and noted jazz writer Mark Berresford, editor of "Vintage Jazz Mart". Not to be missed. "...Spanier... is magnificent... cherrypicks the best of Lewis' later Columbio Sessions.. Top notch transfers"